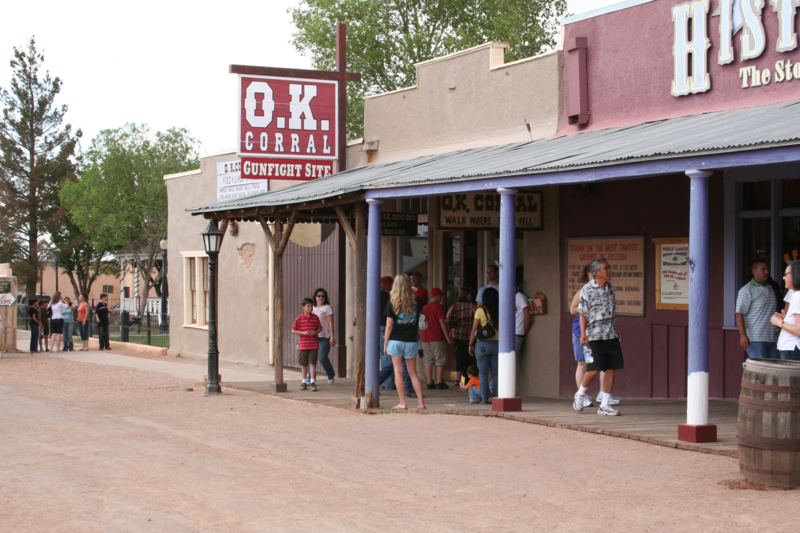 Tombstone, Arizona, (population 1,667) was founded in 1879 and incorporated as a city in 1881. 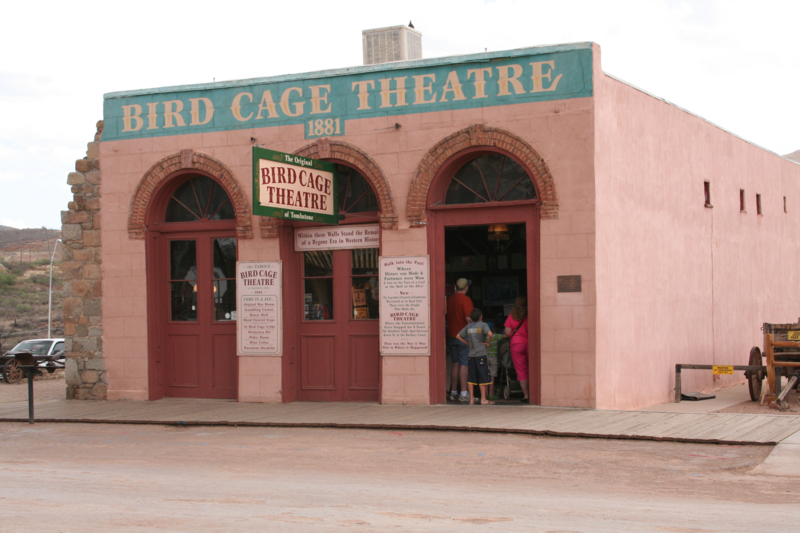 Best known for one of the most notorious gunfights in history, Tombstone is the home of the OK Corral, as well as the legendary honky-tonk Bird Cage Theatre, the Oriental Saloons, and the Tombstone Epitaph, the longest-running newspaper in the West. Tombstone has been recognized as a National Historic Landmark for more than 40 years. Tombstone played a pivotal role in the mining history of Arizona. People flocked to settle in the city and, by 1883, the once-tiny hamlet was one of the largest and fastest growing cities in the West. But when the mines flooded, the town’s days as a mining hub were numbered. By 1890, the mines were impenetrable, and the silver boom was over. Tombstone re-invented itself and emerged as a tourist and historical destination. Today, the city features museums that safeguard treasures of the West and hosts reenactments that draw more than 500,000 visitors each year. Schieffelin Hall, one of the largest adobe structures in the southwest U.S., served as the town’s community and meeting hall, theatre, opera house, and Masonic lodge. It remains a civic, social, and entertainment center for the city and is listed in the National Register of Historic Places. As part of the Freemont Street Revitalization Project, numerous restoration projects were undertaken on this historic building and are funded by several citizen and community groups. The Tombstone Restoration Commission (TRC), comprised of private citizens committed to historic preservation, rehabilitation, and conservation, was established in 1949. TRC has been integral to the survival of numerous historic buildings, most notably the 1882 Tombstone Courthouse, which served as a courthouse until 1929. This Victorian building stood empty until 1955, when TRC began restoration. In 1959, it was reborn as a museum, and today it houses priceless collections, original documents, and thousands of artifacts. During the year, Tombstone hosts many events. Ed Schieffelin Days, a celebration in honor of the city’s founder, is marked with parades, western entertainment, gunfight reenactments, and tours. Also each year, on or about October 26, an event known as Helldorado portrays the infamous gunfight at the OK Corral. The event showcases the legendary gunfight and the events that led to the 30-second showdown behind the vacant lot on Freemont Street. Begun in 1929, Helldorado reinvented Tombstone as a historic destination and likely saved it from becoming a ghost town.